Awesome! A little annoyed though that they did not link to this thread. Edit: Hats off to TomsHardwareGuide for updating the article promptly with this information. Would you please post your card's brand and full model # as obviously not all cards are based on the reference design? It is the EVGA GeForce GTX 690 (04G-P4-2690-KR). does anyone know what would a GTX660 TI mod into? or if its even modable? Please read through the thread for the answer, unless someone donates one to the cause we will never know. 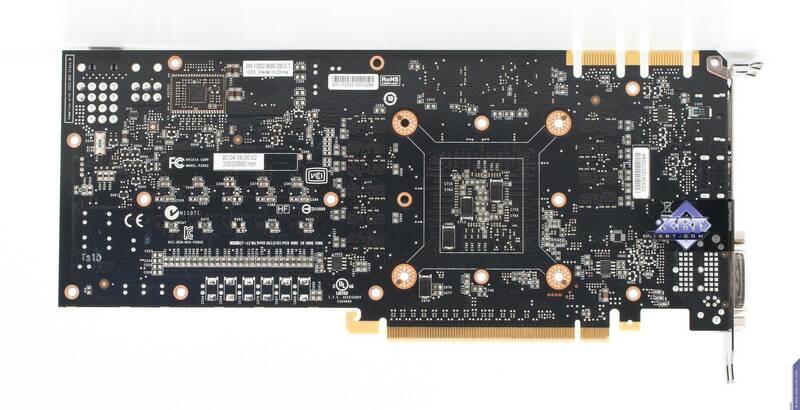 GTX660 Ti is based on GK104 so *possibly* a Quadro K5000 or Tesla K10 as both share the same chip as GTX. I'v been keeping up with this thread...I ran across this while researching how I might pass-through my k20 or 660 ti(s) to a virtual machine using esxi 5.1 and horizon view 5.2. I will donate a gtx 660 ti to the cause. How can I get this to you? I ran across this while researching how I might pass-through my k20 or 660 ti(s) to a virtual machine using esxi 5.1 and horizon view 5.2. I know it's off topic but I am also interested in passing hardware directly to the VMs. You probably know this already but if not, in order to do it you need to have a vt-d capable CPU and motherboard as well as BIOS support enabled. I have been attempting this type of configuration for a year+ now. I've had success passing through ATI cards. Concerning Nvidia, I have had success (though it is a true pain) by following the methods described here http://communities.vmware.com/message/2036345. I am currently trying to configure Horizon View 5.2 for vDGA using Nvidia cards. If you wish to discuss this further please contact me privately per topic of this thread. I have done this with Xen, but like amigo, never with NVidia, only ATI. Have a look here: http://wiki.xen.org/wiki/Xen_PCI_Passthrough. Otherwise please create a new thread as this is off topic here (may be offtopic to this entire forum as this forum is Electronics related). gtx 670, Device Id: 10DE 1189 with 1536 cores. Also, I succeeded in running the driver on every modification. My goal was to get the opportunity to do gpu passthough and I achieved it. Only vgx grid k2 and tesla k10 supports this technology. Quadro k5000 works too, but only till I reboot the virtual machine for the 1st time. I ran gpu passthough using kvm by doing some mouse clicking in the virt-manager. Config of my system is i5-3570, GA-Z77MX-D3H + gpu. Moreover, I tested the stability on a virtual machine with windows 7 using furmark. Everything works perfectly, the virtual machine can be rebooted as many times as you want without rebooting the host. 1 resistor is responsible for the third symbol. Initially it's 25k on gtx680. tried to replace it with 10k - got A deleting resistor B. Works, but in a weird way . 2 resistor is responsible for the 4th, symbol 8-f. Tested values: 10k = 9, 15k = A. 3 resistor is responsible for the 4th, symbol 0-7. It is originally 5k on gtx680. If you use second resistor, third one has to be removed, and vice versa. removing resistor 1 may cause random ID changes after reboot I will update post after i solve it. status: testing, works fine, tested about 10 reboots and poweroffs. works fine, tested many reboots, looks like 40k resistor fixed issue. I was able to successfully modify my card to a Grid K2. Something that was interesting was I kept getting kernel panics with the 40k resistors. After some experimenting I found a stable solution for this card. My card is an Asus GTX680. I know they build their own PCB layout and my PCB was slightly different than yours (different spacing, same location). I am guessing that may have something to do with it, but I am still a bit confused as to how the resistors directly effect the ID anyway. This was my first time working with SMD components so I may have messed something up, who knows? It works, that is what matters. I wonder what happens if we take gtx 670 and modify the id to 680 and the upload 680 BIOS. will it unlock cores? You may need to compare some other resistances too. upd: It is imposible due to different names of gk104. I think processor is laser-cutted. Great work! That is one less card to try to identify . A user is kindly donating one to the cause to see what we can do with it. Great job. Please tell us the brand and exact model of the card? I know I sound like I'm repeating myself, but there's a reason for this. Some manufacturers use reference NV designs in their boards, while others change them. When they use reference design, we can then pinpoint exactly the location of resistors to change across multiple boards because they are all based on the same reference. I matched your photo composite. Can you guess what board this comes from? I took the Inno3D board photos and flipped the back side vertically, then matched it to the front side. I marked the REFERENCE for alignment and then PADS where you can see the vias coming through and connecting to the other side. This should be self explanatory, if not, basically it shows how those resistors are related to each other, front to back. I guess when they laid the board out for whatever reason they did not put them all on the same side. I do not have any cards yet to test, but I would postulate that you can make any GK104 series (Kepler) into Quadro or Tesla or VGX. Of course the issue of the GK104 chip's fuses being burnt on GTX cards would prevent exact specification match to Quadro/Tesla/VGX. But something is better than nothing. I have a GTX 660 Ti that I would be willing to submit as a guinea pig. Is this something that gnif or someone else could walk me through over skype? *edit* nevermind, it looks a little too involved for me to handle. I would need to send the card to someone else. Maybe we should setup a board number -> resistor location table somewhere? Seems a lot of different cards use the same board, would make it easier for people to see if their card is supported yet. Well it looks like some 660 Ti's share the same board as the 670, so it might be possible to convert them over and get full use of the 256-bit memory interface... But for all we know these 660-on-670 cards might be some sort of binned hardware with 660 firmware put on to "cripple" them into not using the damaged parts :/ I'm thinking it should work though because the RAM chips themselves are 256-bit. 660 Ti will turn into K5000, because the board designs are exactly the same, except that the K5000 has the full feature chip (1536/128/32 Shaders/TMUs/ROPs) instead of a possibly crippled/damaged version (1344/1112/24 Shaders/TMUs/ROPs). 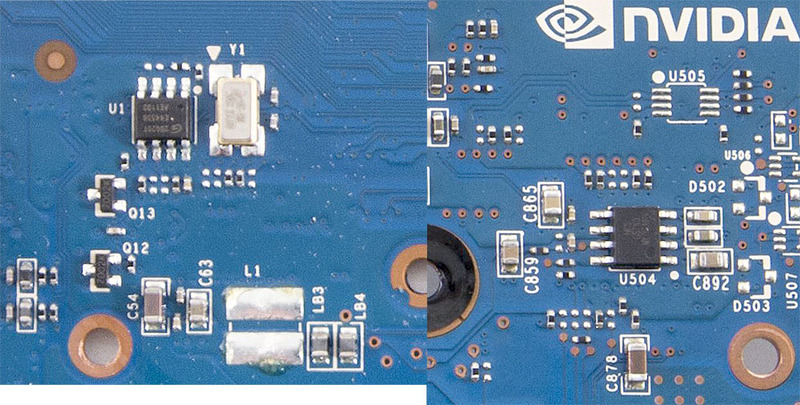 Perhaps the resistors on the back of the board underneath the GPU set the configuration, but we need a really good photo close-ups of the boards to see the differences. It's a long shot but we got nothing to lose. 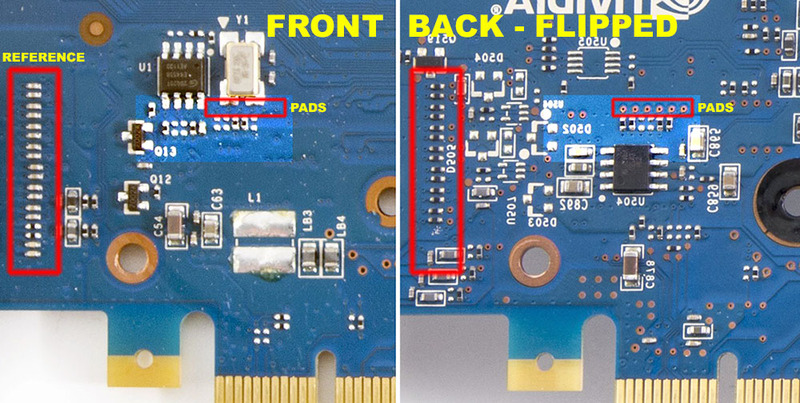 My guesstimate is that the Device ID resistors are usually located on the back side in-between U504 and U505 for smaller boards (GTX 660, K5000); on the larger boards (GTX 670, 680) they are also around there as well as around U1 and Y1 on the front side. I'll take pics as soon as I get home from work. It will be in about 4 hours from now. The 660-on-670 board number is 20040005, which is the same as the 670. Most 660 Ti's use 20040001 boards which I'm not sure would be convertible. See that's the thing, unless the board numbers match, most manufacturers design their own GTX 670 boards because they are higher-end items and consumers demand better power supply design and better components. With regards to getting the missing computing units, that's neither here nor there. The chips (chip die, silicon) used are all the same (cheaper to manufacture) but they could have factory burnt fuses (inside GPUs) that disable computing units; on-board limitations (like resistors); bios restrictions (least likely imho because it would be a huge "fail", but I could be wrong) or simply be damaged GPUs that did not pass QA for higher boards. I think the most interesting bits are making these cards support hardware virtualization which brings the whole field down to the Earth, for all hobbyists who do not have $10k+ to spend on Nvidia VGX solutions. And why should it be any other way: true innovation and progress in the last 100 years had always come from individual people (a lone nut in a garage) and not from some huge research facility attached to some corporation. The latter generally appropriate (steal? ) innovation, make improvements, then patent it and basically lock it away with high prices from the people it was originally intended for. I would be extremely interested to learn how verybigbadboy was able to convert his 680 into a VGX/GRID K1 (i.e. what to solder, what resistors to use and where to get them, etc). That would open up a lot of things to the home-virualization crowd. I'd even give a little funding for some "idiots guide to turning your 680 into a VGX"
By the way, how do you know that your BIOS is downgrading your card, perhaps you have some pointers to look at? Also now I am trying to modify gts450 to quadro 2000. But I have a problem with getting 4th symbol. I think it is possible to modify almost all nvidia cards which have counterparts. Gts450 have similar way to setup device id. I think gt200 series can be modified too, I looked at died gt240 and I think I know where are right resistors. Both verybigbadboy and me have posted enough information for anyone to mod a card based on the reference designs. His images referring to locations and values as well as the images I posted of GTX 670 apply to GTX 680 as well, unless you have a different board. But then again you did not specify what brand/model you have? Surely if you come here you must know where to get SMT components? yeah...! just registered, only to follow this thread..
first of all, congratulations to gnif and others who are working on this. as a cad user "with small budget", this thread is very interesting. second, modding a 680 to a k5000 will be great. i've read verybigbadboy's post, but it's a little bit confusing. i personally don't need k5000 performances, i could go with a k2000 (650) or a k4000 (650 ti). i can somewhat help with a quadro 600, (it's a fermi, i know, but it can be useful for someone) if someone has a gt430 i can compare the pcbs (i have a pny 430, but it's not reference pcb).